Mr. Padilla is one of Southern California's top Civil Trial Attorneys. He is one of the founding partners of Padilla Law Group, LLP. He is a graduate of the University of San Diego School of Law in 1975. He initially practiced law with the San Diego firm of Higgs, Fletcher & Mack, specializing in Civil Litigation. From 1984 until the foundation of his practice with Scott O'Mara in 1999, he was a Plaintiff's personal injury specialist and a partner with Thorsnes, Bartolotta, McGuire & Padilla. 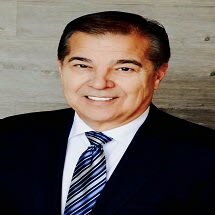 He has served as a board member and advisor to many professional, civil and charitable organizations, including the President's Counsel at Cal State University - San Marcos, the 22nd Agricultural District which oversees the Del Mar Fair Grounds and the American Red Cross. Mr. Padilla has been trial counsel in numerous significant tort cases involving automobiles, construction accidents, product liability, mass tort, railroad and aviation actions resulting in wrongful death and/or major personal injuries. In 1996 and 2010 his trial lawyer peers awarded him an Outstanding Trial Lawyer Award for his achievement in the Olsen v Regents and Creed v El Pollo Loco cases. One of his more remarkable accomplishments was a jury verdict exceeding $63 million for a two year old who suffered brain injury and lifelong neurologic deficit as a consequence of his doctor's failure to order a CT scan following facial trauma. The last pre-trial offer to settle was $200,000. In another case, total damages of $3.7 million were found by a jury for a carpenter injured in a propane gas explosion. The highest pre-trial offer was $250,000. In 2009 Mr. Padilla obtained a $4.700,000 verdict in Orange County for a 36 year old who suffered a severely fractured pelvis/sacrum. $4,200,000 of the verdict was for non-economic damages. In 2012 he obtained a $2,098,000 verdict in the Imperial Valley for a 59 year old who suffered a herniated L5-S1 disc. $1,280,000 of this verdict was for non-economic damages. In the field of consumer protection and unfair business practices, he was published in the case of Brown v. MCI. The Ninth Circuit Court of Appeals held that billing collections outside of the FCC Tariff were a violation of the Communications Act and subject to class action litigation in the United States District Court. He and his wife Kelly make their home in the Southern California community of Rancho Santa Fe. They have six children in their family, one of whom is his son Jeff, who is also a personal injury attorney. His interests outside of the practice of law include golf, skiing, and fishing.